Sure the hydraulic fork is good, but what if we could make it better? The telescopic fork has dominated motorcycle design and engineering for more than 60 years now, but the road remains bumpy. 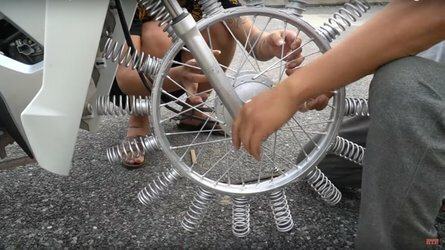 Attempts to try something else meets great resistance, partly because anything other than forks don’t “look right" on a bike. 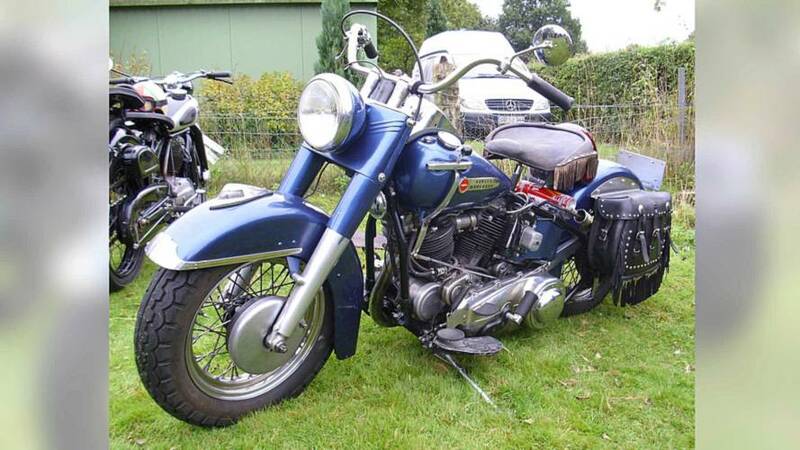 Tubular forks play a huge role in motorcycle appearance and buyers are very solid on this. 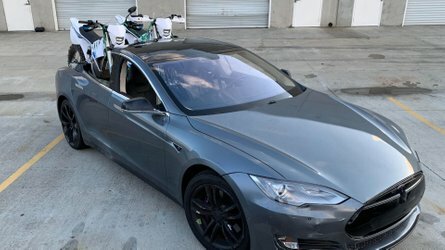 Rider modes, titanium, carbon fiber, and impressive and even intrusive computer control are all acceptable, right up until you change the fork. Even the most diehard techno-nerds, without warning, will buy something else. That said, there are plenty of good alternatives to the tube fork. Let’s look at some of them and discuss how they did just prior to the modern era. In the 1950s, zippy product names were all the rage. 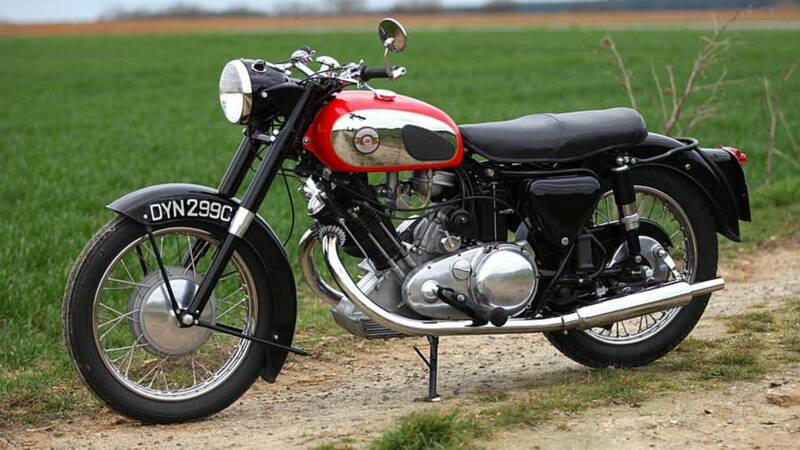 Norton had “Roadholders” while Matchless had “teledraulics". Vincent—not to be left farther behind as we discussed last time—had “Girdrualic” forks. Harley-Davidson had my favorite name with its “Hydraglide.” I can imagine a Godzilla movie with that title: “Godzilla Versus the Hydraglide". (I'd watch it -JM). While the Brits and Yanks were coming up with fancy names for their sliding tubes, BMW pioneered the “Earles” fork and Belgian conglomerate Fabrique Nationale, or FN, created something which I cannot explain. Early telescopic forks were weak and spindly affairs. Stiction and flex were problems and, with not ready for prime time sealing technology, leaked badly. Skinny forks visibly twist during hard braking, and small bikes had no damping, just a tube sliding into another tube for a truly bouncy ride. Larger, more expensive bikes had damper valves with small drilled ports to let controlled amounts oil through for damping action. The details differed, but the overall designs were shockingly similar and remained so until the 1980’s. Meanwhile, engineers, as engineers do, looked elsewhere for improvements. There was the Dowty Oleomatic fork which came from the aircraft world. Taken from pneumatically operated landing gear, the “Oleomatic” fork ditched the heavy fork spring and used compressed air to support the bike since air has a natural progressive “spring” when compressed. Dowty forks were very light, fully progressive, and offered a superb ride. Cost was a problem, however, as they were finicky, maintenance intensive, and the leather seals needed constant attention. Airplanes get scrupulous maintenance. Motorcycles? Not so much. When air leaked out, your forks suddenly got several inches shorter. Worse, when parked, the drooping forks made the kickstand too long and it pushed the bike over on its side. Study the Oleomatic fork a bit and you can see the forward thinking, though. An upside down design, fully air controlled, and progressive. A brilliant idea, but way far ahead of the available tech. Another development of the standard hydraulic fork was the "Earles" fork, a kind of leading link setup developed by an Englishman named Ernest Earles in 1953. See, spindly forks don’t work very well with sidecars and the 1950s were the golden age of sidecars. The twisting forces of an asymmetrical vehicle—a bike with a sidecar attached, for example—are way too much for a telescopic fork. Leading link forks solve this problem, mostly. 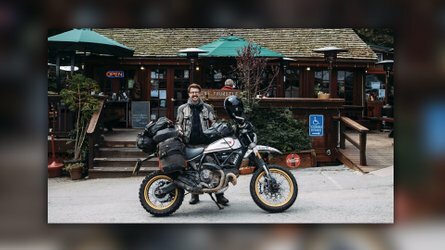 Leading links are immensely strong and couldn't care less about the 200 pounds of sidecar, plus one adult, one child, camping gear, and a spare tire all attached some 18 to 36 inches away from the center of the motorcycle's gravity. Imagine a pair of fork tubes bent backward, almost touching the frame. Now attach a swingarm to these bent forks. At the open end of the swingarm sits the front wheel. Somewhere near the front is a pair of rather ordinary shock absorbers. The swingarm moves up and down, the bent forks turn the wheel. Bingo! Separate components for steering and suspension. Very strong? Check. Room for a big powerful brake? Yes. 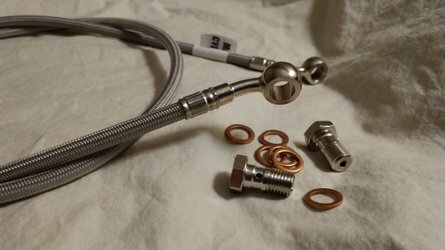 Easy to manufacture? Also yes. Appearance? Odd. 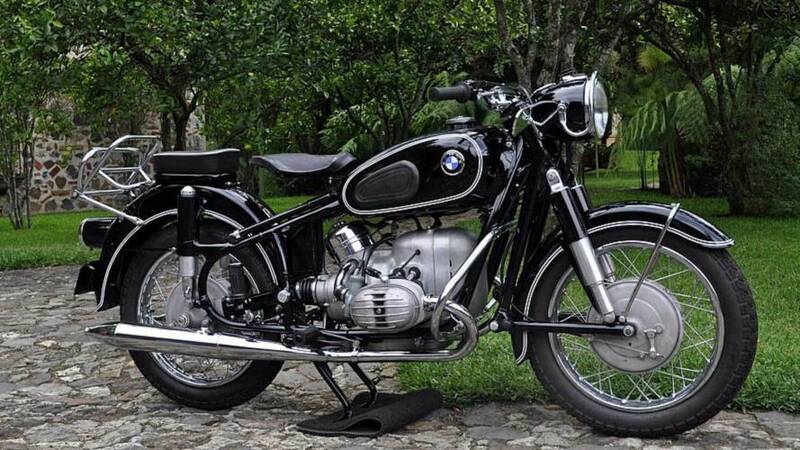 BMW was an early adopter of the Earles fork thanks to Beemer riders' love of sidecars. Some folks complained that the BMW’s steering was heavy and “truck like” due to the Earles fork. I have spent considerable time aboard a BMW R60/2 and I did not feel that the front end was any more ponderous than the rest of the bike. There, I’ve both complimented and insulted an iconic BMW. Let the hate mail begin. Additional development improved the already good leading link. 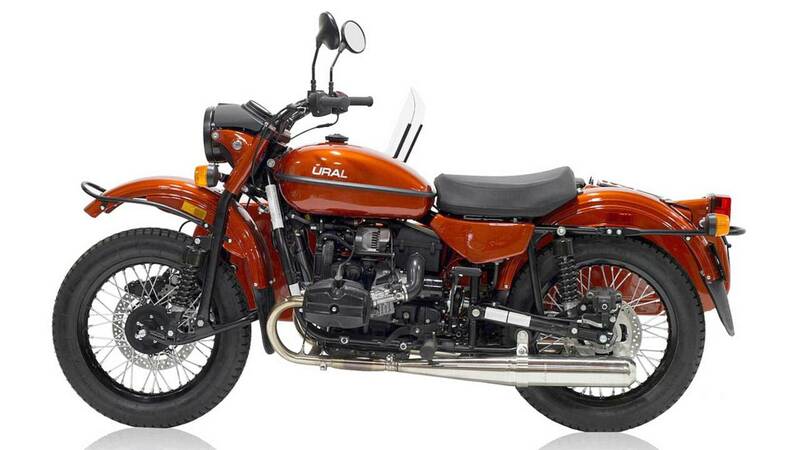 Ural uses a leading link with the pivot point closer to the middle of the swing arm. This move reduces unsprung weight a lot and lightens the steering. Important when you are hauling that 250 pounds of Russian steel beside you. Nothing about a Ural is light, but the steering is pretty darn good. We’ve established, technically, that the tube fork has limitations. Next time we will look at how a tube fork can be tweaked to address some nagging issues. We’ll also examine a few exquisitely modern ideas for steering a motorcycle.